Illumination Entertainment and Universal Pictures’ Dr. Seuss’ How the Grinch Stole Christmas has been delayed from its planned release date of November 10, 2017, to November 9, 2018, Deadline reports. The movie is currently the only thing opening on its release date, but it will only have one week without major competition; the sequel to Warner Bros.'s Harry Potter spinoff Fantastic Beasts And Where to Find Them comes to theaters on November 16, 2018. That's probably about equivalent with the struggle it would have faced in its second week with the 2017 date; it would have opened the week before Justice League Part One. 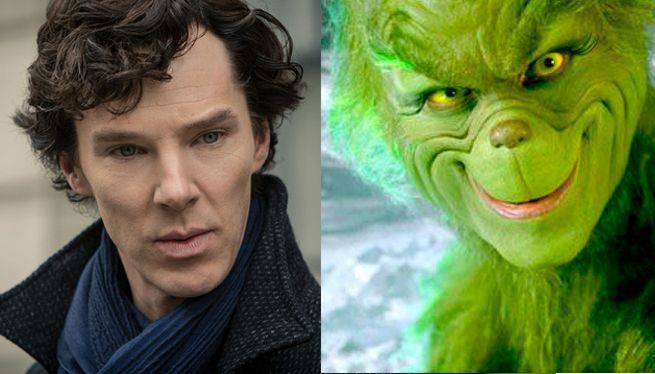 When the movie finally comes to theaters -- it will be the third adaptation of The Grinch, and the second to get a theatrical release -- it will star Benedict Cumberbatch in the title role. The film is just the latest take in adapting the Seuss story, which was first adapted as an animated tv special in 1966, and later as a 2000 live-action film starring Jim Carrey. The 2000 version went on to become the highest-grossing film of that year, earning more than $300 million globally and $260 million in North America alone.